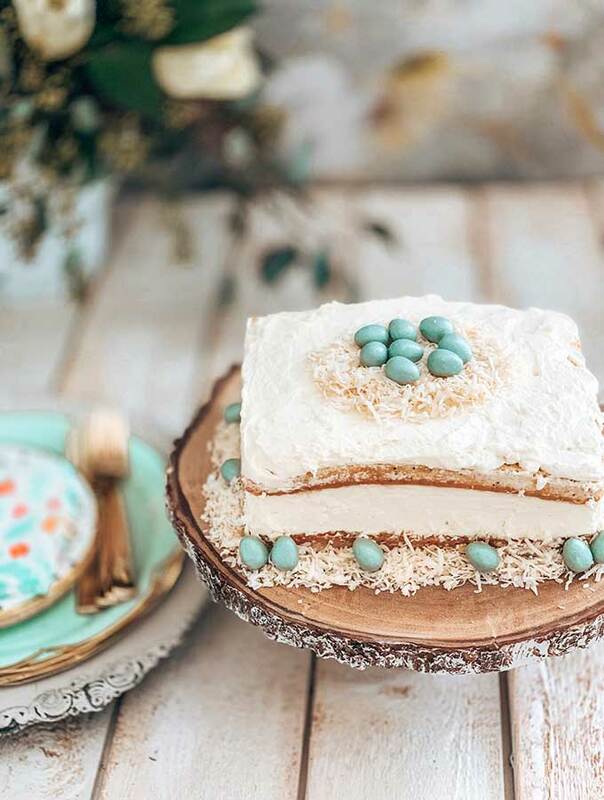 Have you seen the blue Easter egg cake on Pinterest with those malt Easter eggs. It’s my absolute favorite cake, I’m like I can do that. So this is my attempt, as you can see this is a fail. My cake isn’t level, but who stinkin cares. If we all live to perfection where’s the fun and creativity. So I made this cake, its’ super easy and I’m sure you could do a better job at it. We also have a tablescape for you because Ashley does an amazing job with making tables look beautiful. 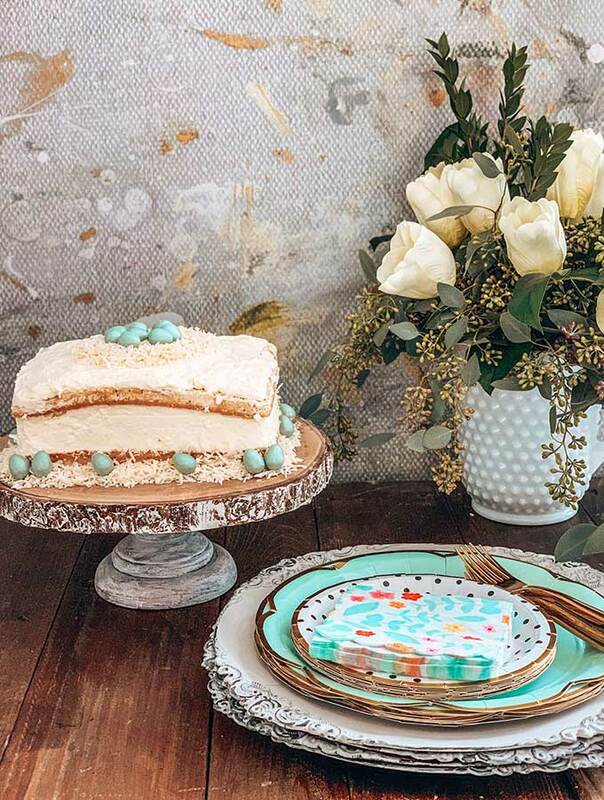 Here is our Spring Tablescape with Easy Desserts. Since Spring is upon us that means it’s time for more color! Color really helps liven the place, especially after the cold months. 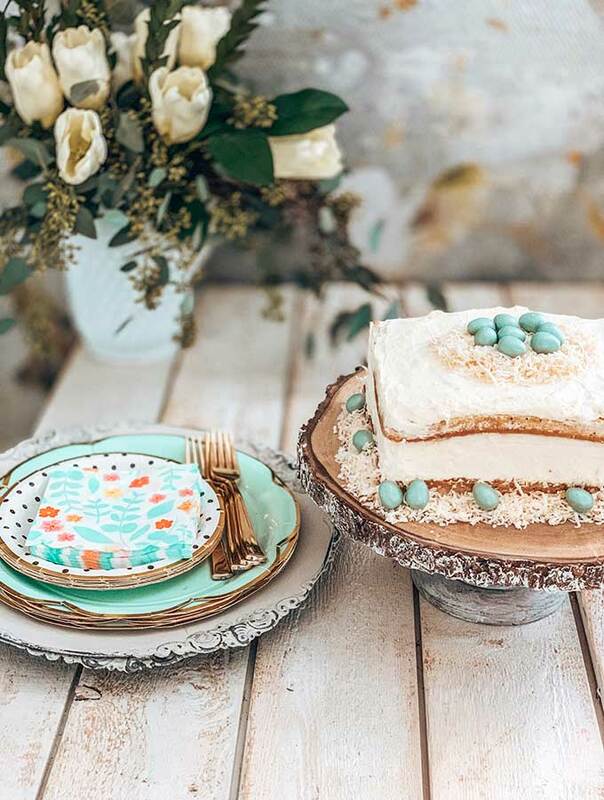 Keep reading below to check out a gorgeous tablescape, as well as some really easy cake recipes perfect for Spring! 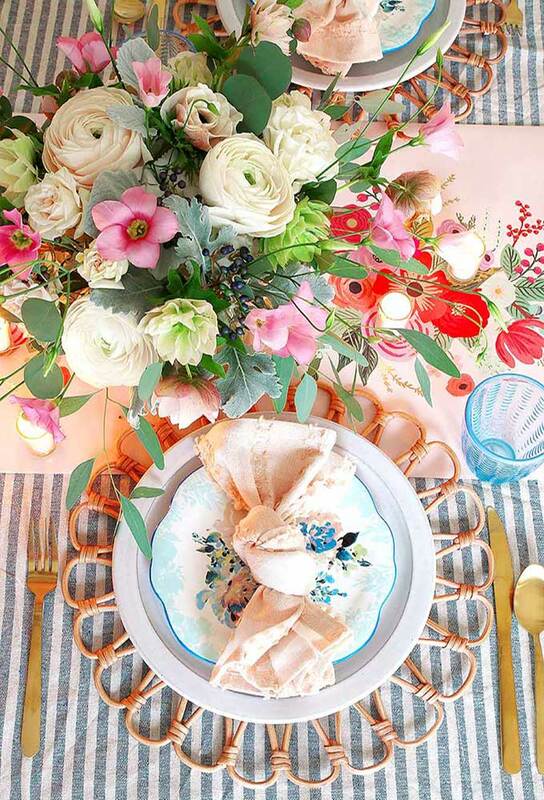 How gorgeous is Ashley’s Spring tablescape? It’s so pretty and perfect for the Springtime. It adds color and vibrancy to the space. 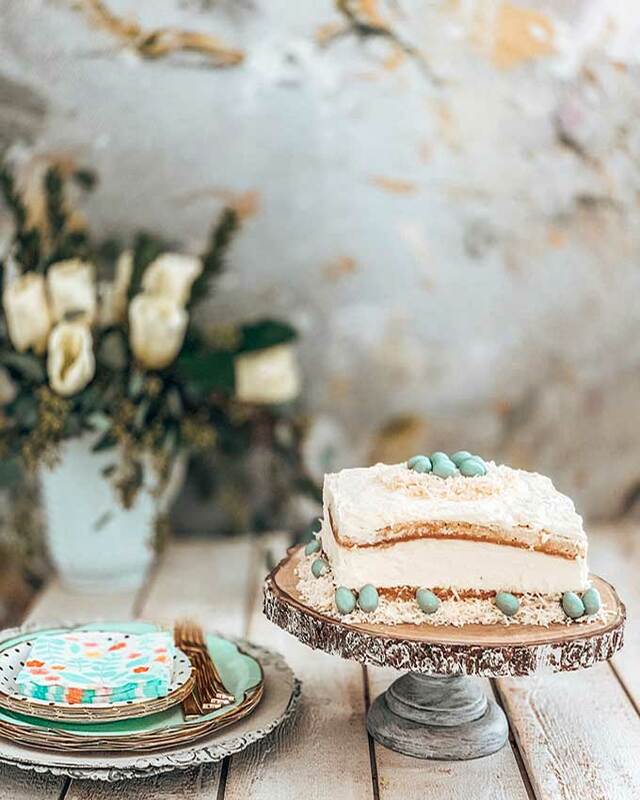 What I love about this is that it can be used for a Spring table, Easter tablescape, or even a Summer tablescape. The pops of color really make it work for the warm weather. 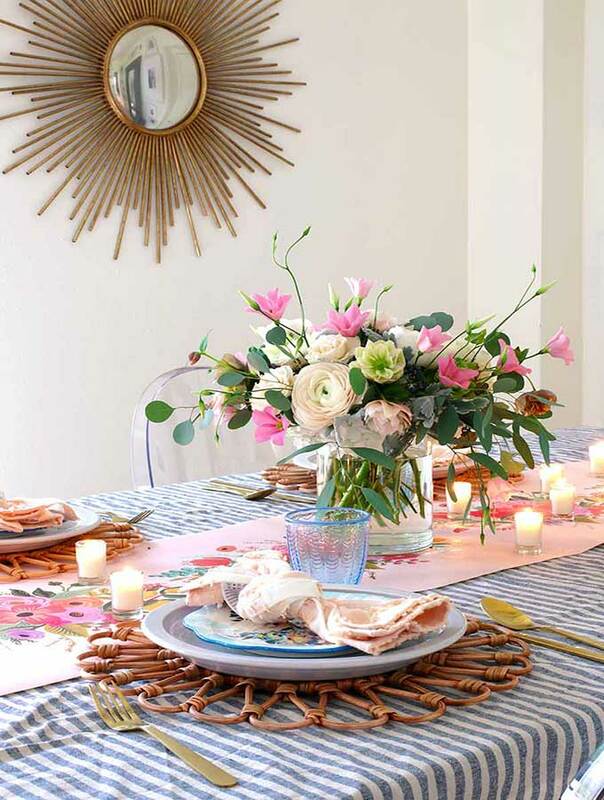 She added the rattan chargers, which really show off those Summer days to come. Plus they are super cute, I’m thinking I need to add these to my collection. 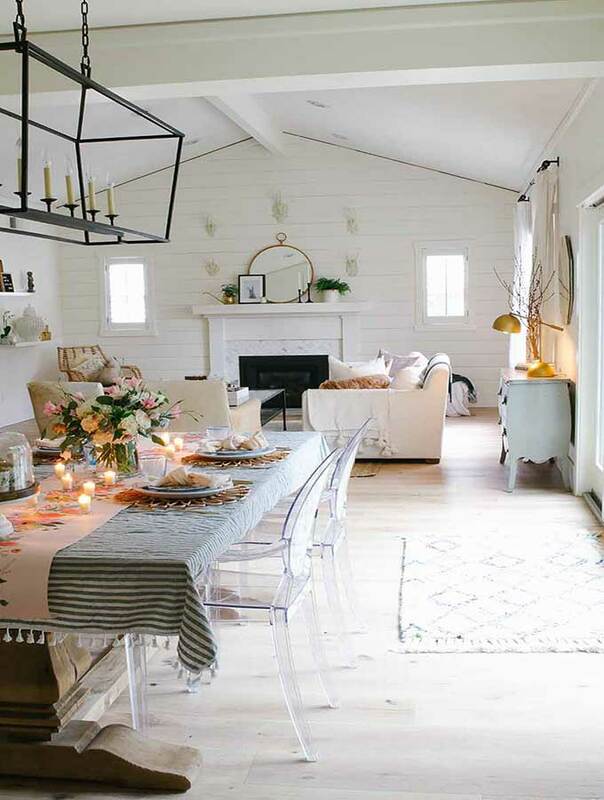 The thing about tablescapes is that you can add or take away things. If you want a more Easter look, you could add velvet eggs or some little bunnies. It’s really all up to you when it comes to the decor on your table. Now onto some dessert. A good dessert will make anyone’s day much better. 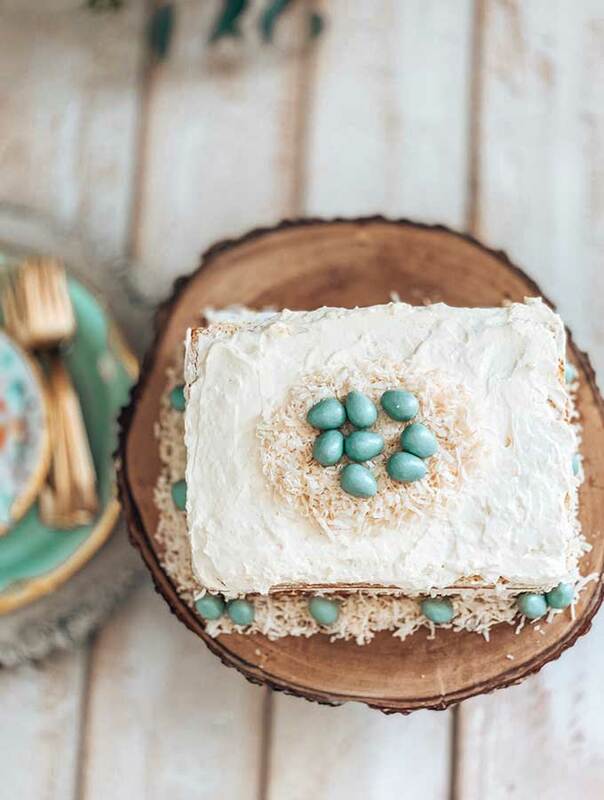 I used our poppy seed cake recipe and added some special Easter touches. 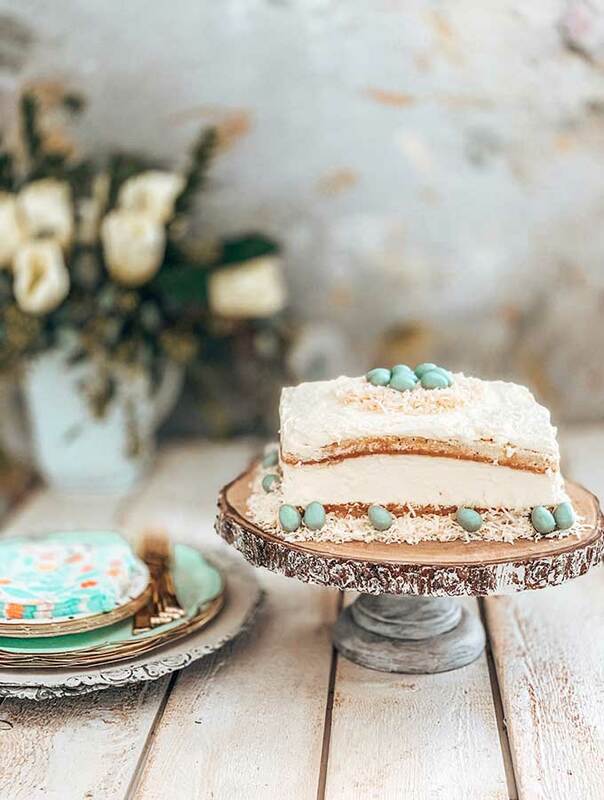 Keep on reading for some more super easy Spring desserts. Cadbury eggs are my absolute favorite when Spring comes. The sad part is they deprive me the whole entire year from these things, so when Spring’s here it’s time to go stock up. But I will admit these aren’t what I meant to buy when I made this cake. I was meaning to buy those malt Easter eggs, but oh well. These are just as tasty and look pretty good. As you read above I made the poppy seed cake, but I wanted to add a fun twist with some coconut. 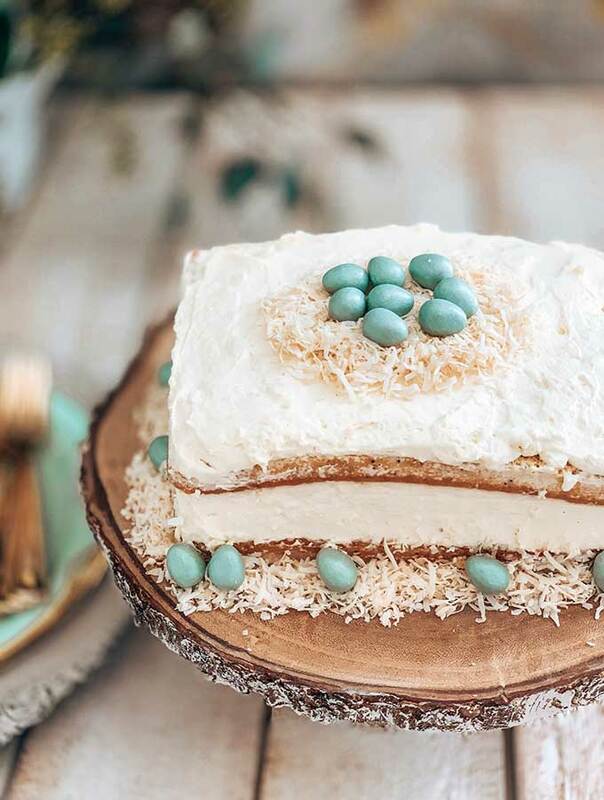 Coconut will add that tropical taste, which is why I love making desserts with coconut in the Spring. I simply just scattered coconut around the edge of the cake and at the top of the cake I did a little mound of coconut. Then I made a little indent, so it resembles a birds nest. Of course, I then put in some Cadbury eggs so I made a really cute birds nest. Now that screams Easter to me! Oh I almost forgot, I have a fun Easter printable that would be perfect for your Easter decor. It was so easy decorating this, so there is no need to stress about decorating a cake. Because I’m telling you, super easy doesn’t mean it has to look bad. I’m all about simple, easy and quick. Living in this crusty farmhouse of mine I am always on the run, so I like easy. But I still like to make things beautiful! Janine made this yummy carrot cake. Now talk about easy, but super delicious! I would go check it out if I were you because who doesn’t love easy and something that will taste so great. 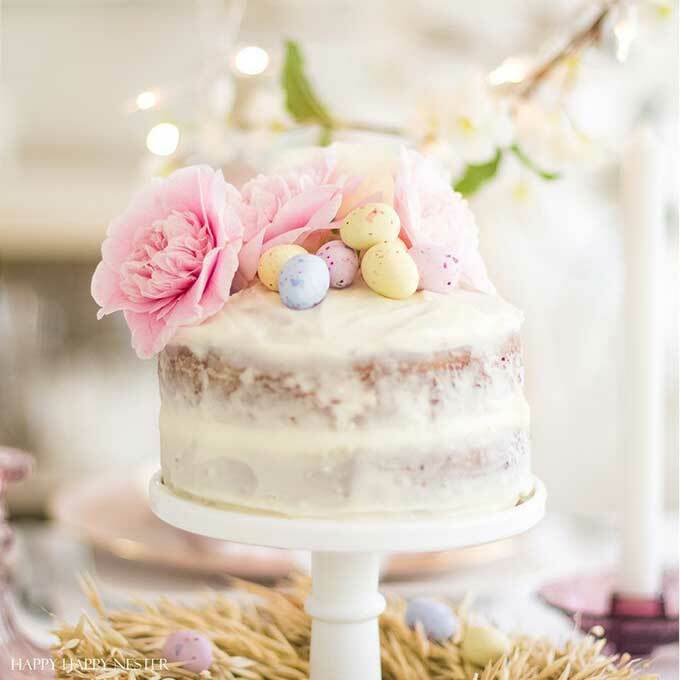 Her cake look so moist and I love the addition of the Spring eggs on top. It really gets me in the mood for Spring time. Cakes can be pretty intimidating, I get it. But seriously they are super easy, especially if you keep the decorating basic. Leslies coconut cake recipe is so easy!! The coconut will hit you with that tropical flavor, and get you in the mood for some warm weather. 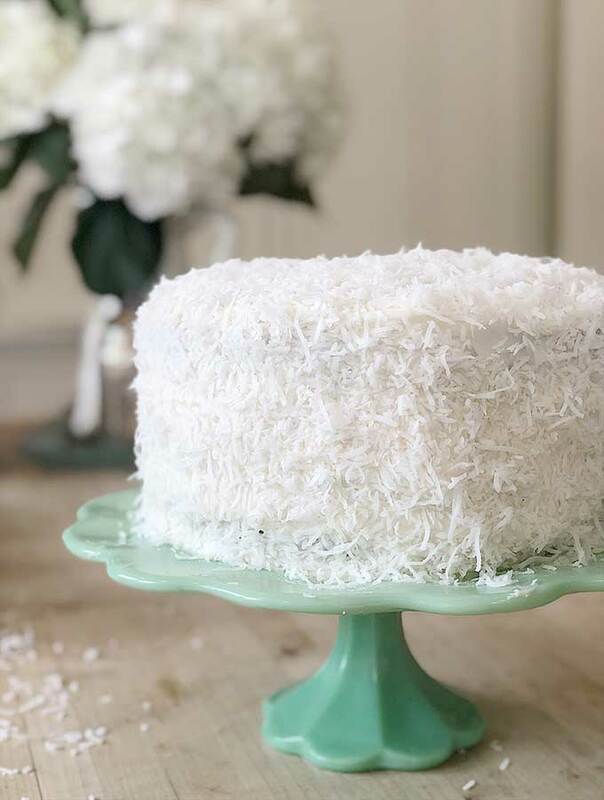 I love how she simply coated the cake in coconut, it makes it so pretty and easy. Thanks for stopping by! 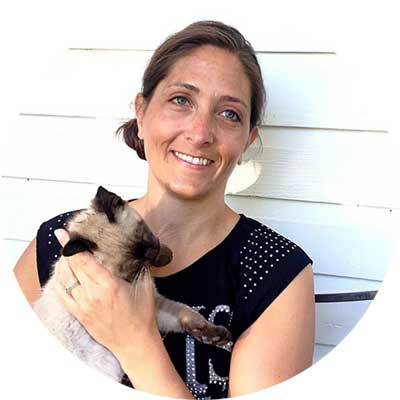 Follow me over on Instagram to get all the behind the scenes at Hallstrom Home. 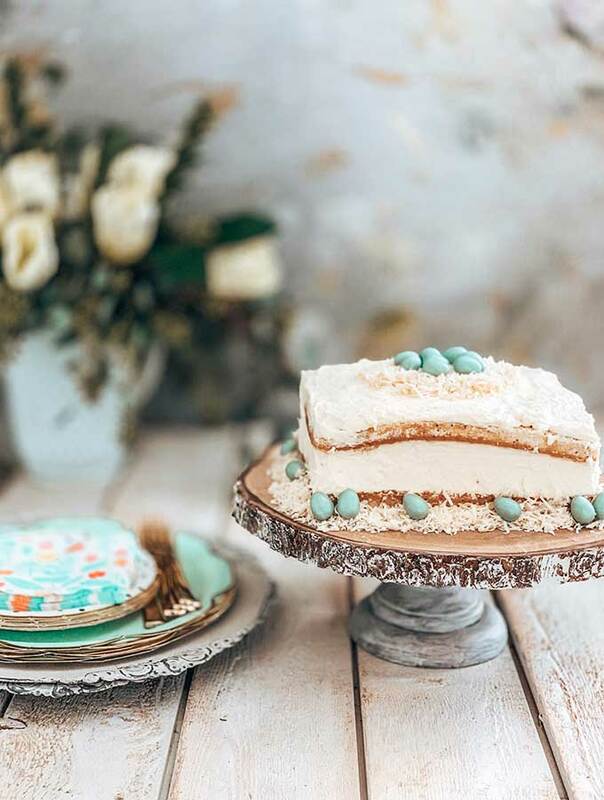 I would love to know what your favorite Spring dessert is.